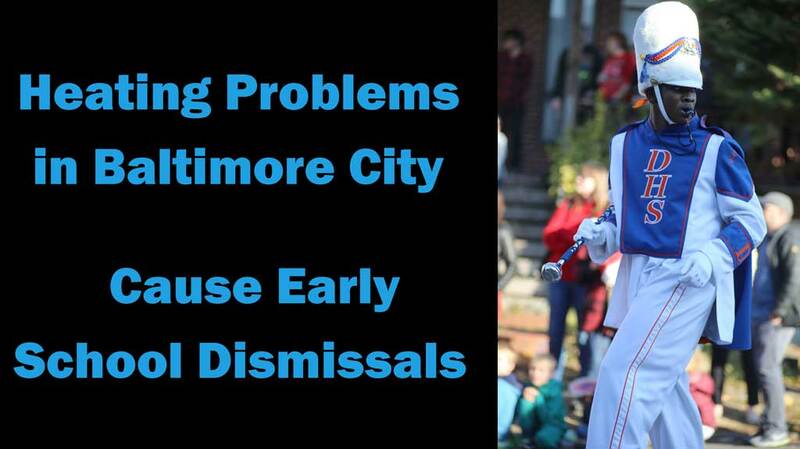 Four schools were closed today and two dismissed early in the day on account of heating problems and cold temperatures in classrooms in Baltimore City, the Baltimore Sun reports. UPDATE Jan. 4: Former NFL player-turned-Baltimore City art teacher Aaron Maybin has started a GoFundMe page, trying to raise about $20,000 to purchase some 600 portable space heaters for the schools. A little creative funding never hurts, but these schools need repairs. It’s so cold in some classrooms that the head of the teachers’ union called on the district just to close all the schools starting tomorrow—at least until the problems with pumping heat into several classes can be fixed. “I implore that you close schools in the District until your facilities crew has had time to properly assess and fix the heating issues within the affected schools in Baltimore City,” Baltimore Teachers Union President Marietta English was quoted as writing in a letter that was hand-delivered Wednesday to school system CEO Sonja Santelises. Claiming teachers and students were often safest in schools, Ms Santelises said that although she knew about heating complaints from about 60 schools in the district, she wasn’t going to rush to action. Not rush to action?! When would be a good time to deal with this? How much more analysis and studying is required? Public schools in Anne Arundel County have already decided to delay the start of school by two hours Thursday, given impending snow accumulation of a few inches. But there’s no excuse for sending kids to classrooms that barely got above freezing Wednesday. Social media went crazy with reports, not just at these six schools, but at several others, the Baltimore Brew reported. Elsewhere in the state, on the Eastern Shore in particular, winter weather advisories have been issued, and upwards of six inches of snow is expected to fall Wednesday night into Thursday morning. Watch for school closures in Wicomico, Worcester, Saint Mary’s, Calvert, Kent, Queen Anne’s, Talbot, and Caroline counties.